Contractors' Questions: Can I get direct work by building contacts? Contractors' Questions: How can networking help me go direct? Contractor’s Question: I’ve been contracting for a couple of years and things are going well, but I’m still reliant on getting work from job boards and agents. I'd like to go ‘up a gear’ and am keen to get direct work. How should I build contacts which may lead to such direct-to-client work? I have used LinkedIn and try to keep in contact with former colleagues, but is there anything else I should be doing? Expert’s Answer: This is a great question and shows some real forward-thinking and proactivity to develop your contracting career. Many contractors rely solely on job boards and recruiters and miss out on a whole bunch of other channels at their disposal. The first piece of the jigsaw is to make sure that the message your LinkedIn profile is projecting is the right one -- think about your target audience, what do they need, what is your ‘go-to-market’ pitch and what is your contractor value proposition? All this needs to come across in your LinkedIn Summary along with some philosophy and ethos on your chosen profession. Your LinkedIn profile needs to be found, so SEO comes in to play too by you using the right keywords for your market. After that, it’s all about giving evidence that you can deliver business benefits and ultimately ROI on your daily rate. Case studies in LinkedIn's ‘Projects’ section work well for this, as do the ‘Positions’ in the ‘Experience’ section. Once your LinkedIn profile has been whipped into shape, you can use it as a starting point for networking. It’s all about identifying useful people such as decision-makers and interacting with them is a positive way to build up your network. Developing ‘networking currency’ by doing favours for others is essential; the more people that owe you a favour, the more help you can call in when needed. It’s not dissimilar to the Celestine Prophecy; the more people you interact with, the more likely it is that opportunities will come your way. Connect with genuine decision-makers at client companies and contact them every 6 months to say “hi”; find out the results of your work and remind them of your existence. Who knows when they might be looking for someone like you again. Write ‘Recommendations’ for people; not only have you done them a favour but you are now visible to their entire network. Join groups where decision-makers hang out; fellow group members can contact you without being connected and if you strategically interact in discussions, you can build your profile. Identify and seek out decision-makers in target companies, connect with them and try to find an excuse to do them a favour (in a genuine way). Maybe they have posted something on LinkedIn that requires (or could benefit from) someone’s input or maybe you can refer someone useful to them. Situations vary but any excuse to earn some ‘networking currency’ is a good idea as next time you need their help, they are simply returning the favour. Remember, networking and being active in the contractor recruitment game shouldn’t just occur 2 weeks before the end of your contract; adopt a ‘little and often’ approach so when you are ready for your next contract, you are in control and don’t feel awkward or that you’re only getting in touch when you want something. 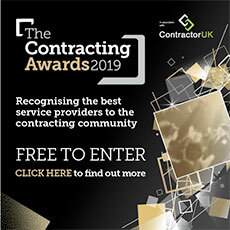 Lastly, but possibly even more helpful to you than all of the above ideas combined, the one-hour ContractorUK webinar on May 9th at 7.15pm will give you the 'inside track' on LinkedIn and Networking, in much more detail than is possible in this Q&A format. Crucially for you in light of your query about building contacts to help you secure direct-to-client work, I’m going to be joined in the webinar by Heather White, a leading expert on networking. This live and free event will be an informative and stimulating session, perfect for professionals like you who want to "go up a gear". Register here to reserve your place. The expert was Matt Craven, founder & managing director of The CV & Interview Advisors. Contractors’ Questions: Can I bypass the agent and go direct? Contractors’ Questions: When can I go direct-to-client? Contractors’ Questions: Can agents take a fee for direct work?